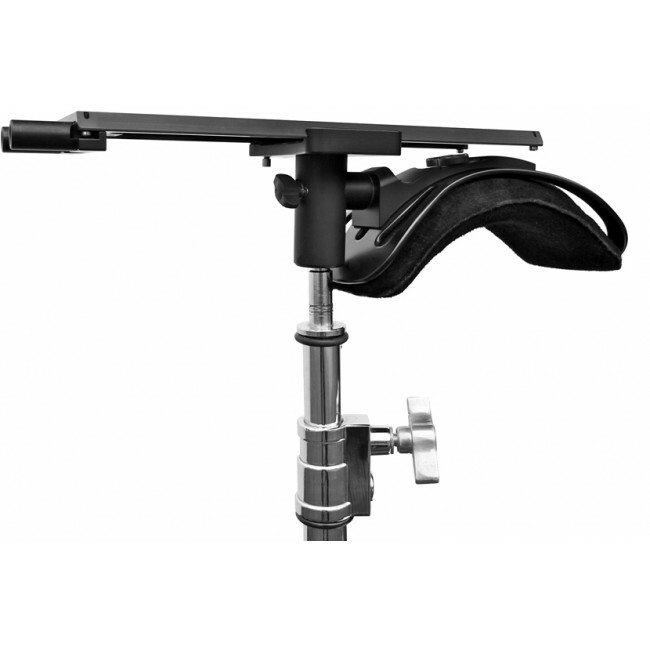 "Fly like an Eagle" Universal Camera Shoulder Support for a quick change-over from: Hand-Camera to Steadicam® or tripod and reverse. Quick change from hand camera to tripod or Steadicam and reverse. 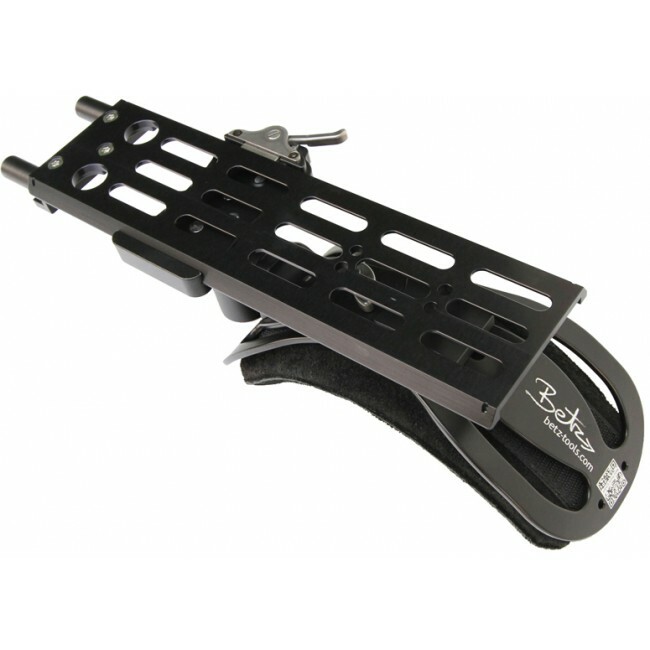 The established Betz-Tools " QuickLok™ " plate for Steadicam® (and as on our RIG), allows a safe and quick assembling of the camera onto the shoulder support or a tripod. 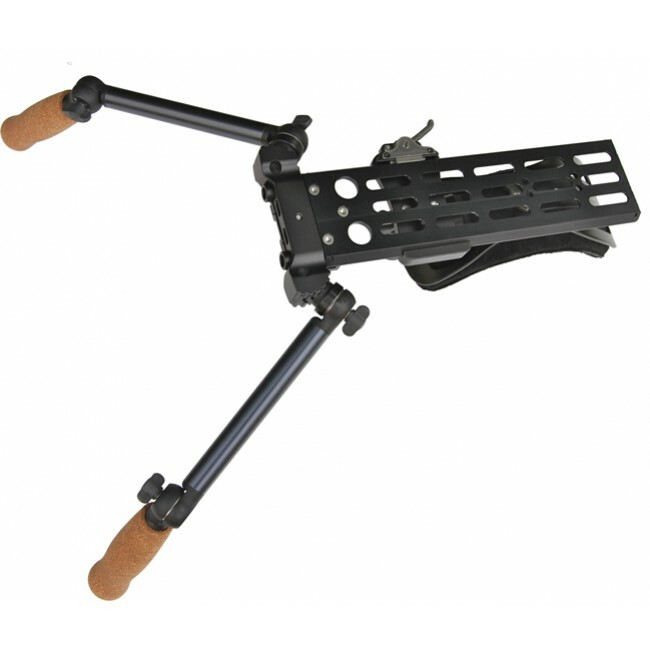 Is compatible with PRO, Tiffen Steadicam® and Betz-Tools RIG system. 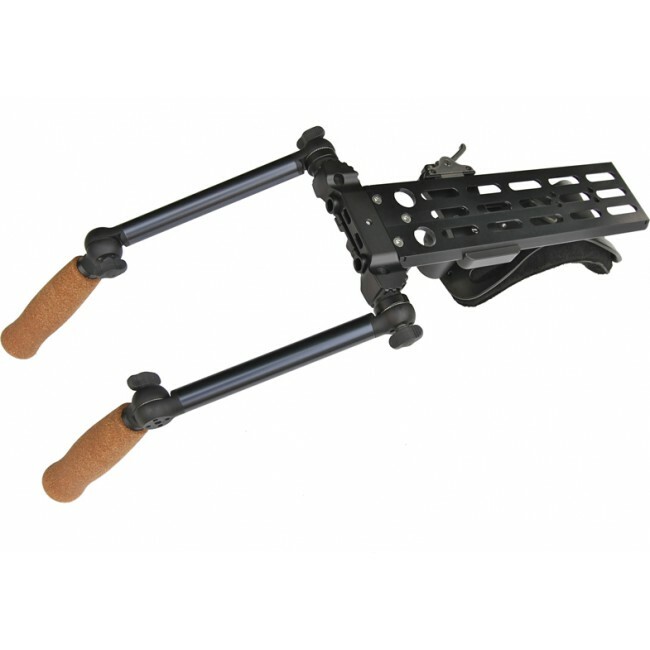 The cameraweight on the shoulder can be comfortably adjusted by sliding the camera fore and aft. 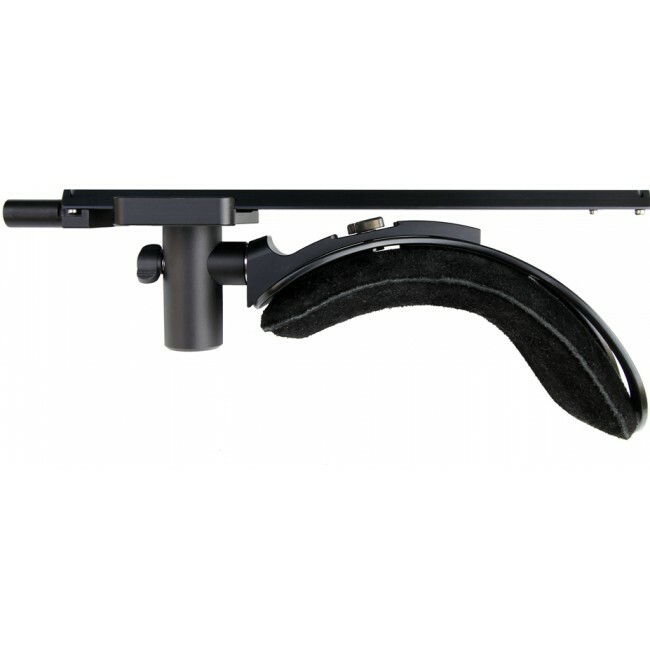 Is adjustable to the shoulder via a ratched disk. 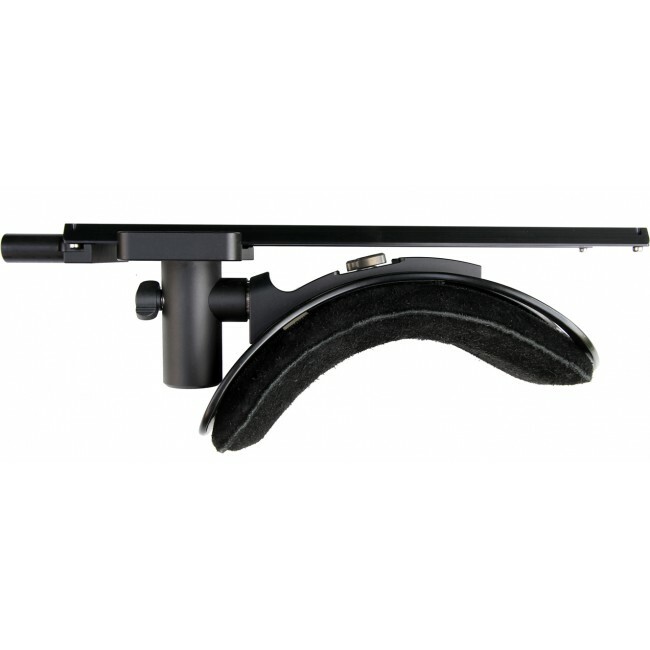 The support radius of the shoulderpad is continuously variable. 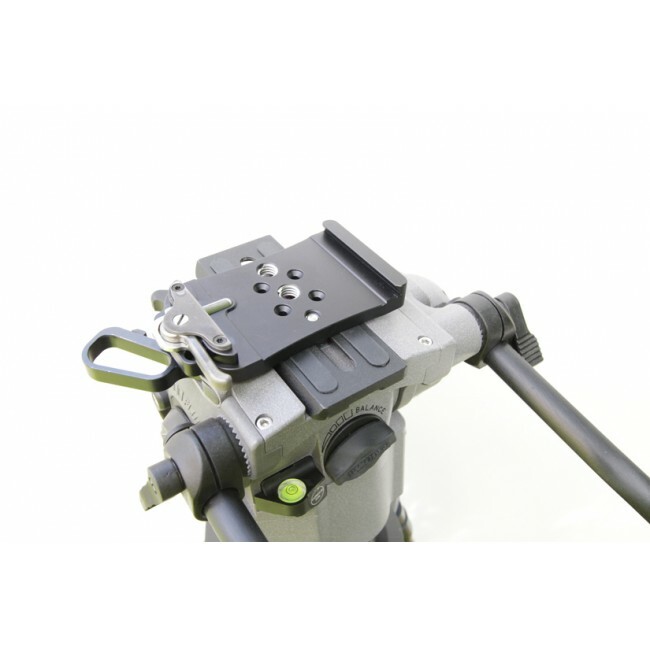 1.1" (28 mm) "Fly like an Eagle" with the camera can be comfortable docked onto a lightstand. Are adjustable in all angles via ratched disks. 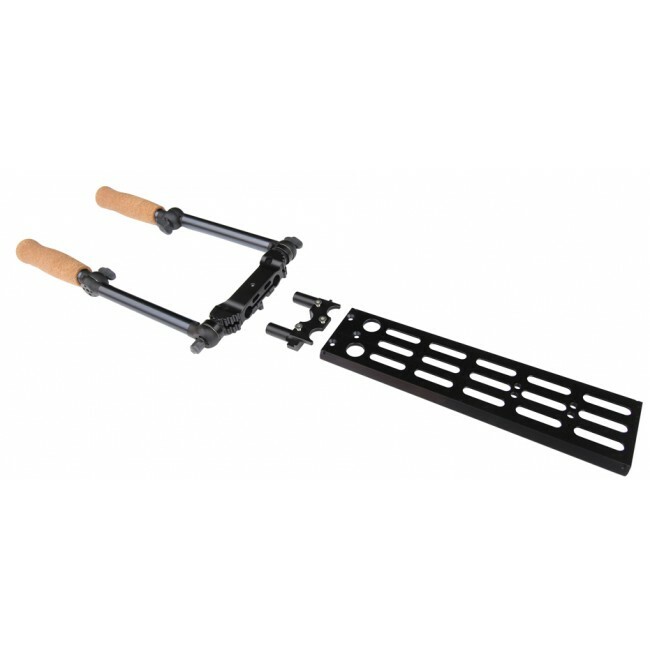 The handle support, which is mounted on the dovetailplates 15 mm rods, can be quickly dropped off for Steadicam® or tripod use.